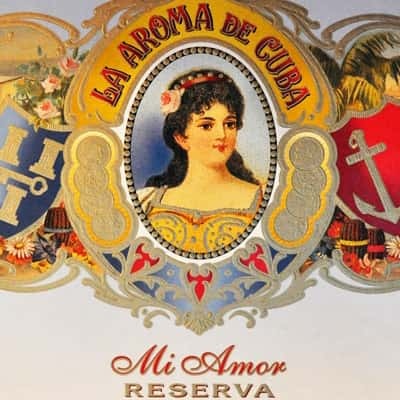 An original Cuban brand from the late 1800s, La Aroma de Cuba has been reborn in the house of legendary cigar-maker, Jose "Pepin" Garcia, in Estelí, Nicaragua. 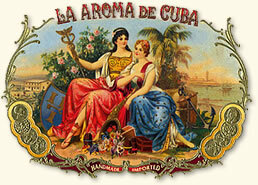 In the wake of its revival, La Aroma de Cuba is now a burgeoning enterprise synonymous with quality and value. Precision blending of the finest, aged Nicaraguan tobaccos provides a consistent medium-bodied profile. Connecticut Broadleaf wrappers rouse rich hints of brown sugar and cool spice. Phenomenal earth and cedar notes endorse the bold, smooth finale.